Many dealers incorporate home 'modes' that allow the home to 'shift' when homeowners arrive or leave. This driver is designed to streamline installations that incorporate modes and provide a simple interface for dealers to implement these feature. In addition, the driver can be used to implement 'vacation lighting' without requiring a lot of dealer programming. This saves a great deal of re-programming time if lights are added/deleted to a project. Create Vacation Lighting quickly and easily using any Control4 compatible Lighting system! Just a Control4 System! Now how easy is that! FEATURE ADDED 8.0.6 – Update from 7.x.x to 8.x.x. Using the Manage Driver software from Control4. Auto Setup Action. Press this button and the driver will automatically scan the project and add the thermostats, security system, door locks and garage doors to the driver. Purpose of Driver: Many dealers incorporate home 'modes' that allow the home to 'shift' when homeowners arrive or leave. This driver was designed to streamline installations that incorporate modes and provide a simple interface for dealers to implement this. Also, another major purpose for this driver is to implement 'vacation lighting' without a lot of dealer programming which can create major headaches if lights are added/deleted to a project. ñ Control4 Keypad Integration (toggle 'through' all three modes with automatic color assignment on all keypads. Compatible with both v1 and v2 keypads. Also, you can assign each 'mode' to one keypad button (Thing about a 3Button keypad with Home, Away, and Vacation on it). ◦ Purpose: This is a name holder for the mode. This name is then transcribed to the variables in the driver for easier customer implementation. ◦ Purpose: When keypad binding is used, setting this option to no will remove it from being used when one keypad button push is being used for all modes. Another example of this is when you don't need mode 2 since your installation will only have 'Home and Vacation' modes. ◦ This is done by sending the Room_Off command to each room. ◦ Note: This may not be a legal in certain countries in Europe. ◦ Works with both V1 and V2 keypads. ▪ The system uses the property: Security: How to arm. ◦ Purpose: Determines the time in minutes between Shortest and Longest for each light to 'toggle'. ◦ Purpose: Because there is no telling what the light states will be at the end of the random lighting program. This option tells the driver what to do with the lights. ◦ Purpose: This option defines at what time the random lighting should fire. If it's set to scheduler, then this is disabled. ◦ Note: If On Time or Off Time are set to scheduler then both times will use the scheduler. ◦ Program will 'check' in once an hour on the hour and let the program know if it's within the time frame. There are some items to remember. ▪ 1. The on/off times do not reset if you change the time that they move. Example, if you have the off time set for 6 pm, the current time is 5 pm, then move it to 3pm. It will not reset until the next day. The best advice is to set the times then start mode 3. ▪ 2. Upon reboot, the system will continue the random lighting until the off time is reached. Example, if the house is currently running random lighting and the home loses power past the off time. When the home turns back on, it will continue with random lighting until the next off time. ▪ 3. In most cases these actions are very rare and should not happen, however, dealers need to understand these items and if they feel this will create issues, they need to program disable events (programming/actions/turn off random lighting) upon reboot. ◦ Purpose: Use this property to select which thermostats in the project will be controlled. ◦ Purpose: Selects the security system to use with the automatic arming. ◦ Purpose: Defines how the security system is armed when arming is selected in a mode. ◦ Message this built based on which mode is selected. This message can say anything and $MODE is a place holder for which mode is currently running. ñ Purpose: This will only update the LED state of the keypad button but not do anything with changing the driver mode. ◦ Is the customer specific email for faster emial creation. Single-Double_Tap_Link: These connections were designed to help a dealer with keypad integration. If this connection is used intstead of Mode_x_Link it will require a double tap in order to move to that mode. This allows for a button like ‘Home’ or ‘Away’ to have a lighting scene attached to it but only move modes on a double tap giving a dealer and customer more flexibility in installation. Mode x Lighting Scene Link: These connections are to be used in conjunction with the new Single-Double_Tap_Link connection. Simply ‘bind’ the lighting scene you would like to be executed when the button is pressed (note these can also be toggles). Customer requests that a button be called AWAY. This button when pressed will only execute the lighting off scene. When double tapped however, will engage the Away mode. 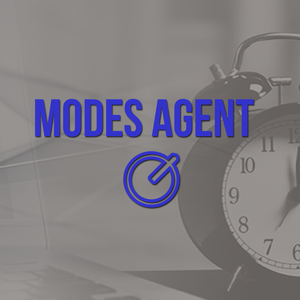 Mode X: Set Thermostats To (HEAT/COOL): These properties were added to speed up installation/configuring time on the driver. Just set the setpoints you’d like the home to be in under each mode. After that, all the thermostats listed under the property (Thermostats) will go to those setpoints when the mode changes. Note: For backwards compatibility property: Mode X: Tstats to should be set to ‘Do Nothing’. Future releases of this driver may remove this property as Control4 is discontinuing vacation setpoints. Door Lock and Garage Door Closings: Cinegration has now added into the driver the ability to automatically lock and close garage doors after x seconds. This is customizable for each mode. If the time is -1 then it will not lock or close when the mode is selected. Customer requests that when AWAY is selected, lock the doors and close the garage after 2 minutes automatically. Dealer would change the Property ‘Mode 2: Lock Door After’ to 120. Dealer would also change property ‘Mode 2: Close Garage Door After’ to 120. Note: Dealer will need to select which garage doors and door locks under the corresponding property for this feature to work. ◦ Customer requests a keypad button by the back door that allows them to choose which 'mode' the home is in. Mode 1 Should be called Home, Mode 3 should be called Vacation. ▪ Mode 1: Turn off Vacation mode on all the thermostats, fire lighting scene 'Home'. 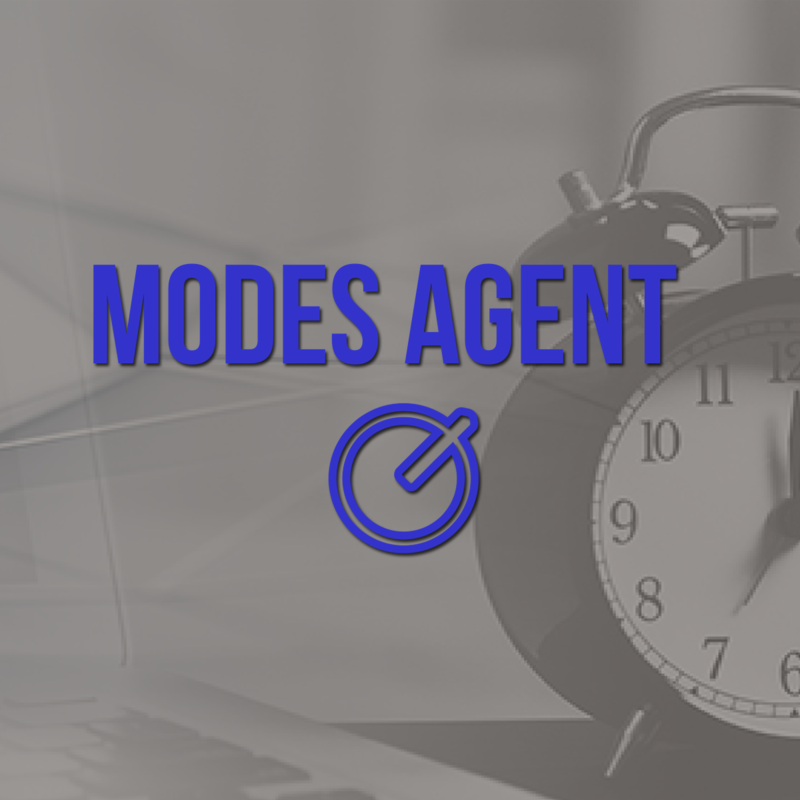 ▪ Mode 3: Turn on Vacation mode on all the thermostats, turn off all the rooms in the home, arm the security system after 1 minute and engage random lighting between 6PM and 12AM. ▪ Under System Design, choose thermostats and security system to driver. ▪ Under System Design, select Adjust Mode, Mode 3.
ñ Change Mode 3: Security System to 'Arm after 60 seconds'. ▪ To program to turn the lights on when Home is triggered, go to the programming tab, under the Event 'Mode 1 On'. + 8.0.1: Fixed issue where after reboot, variable data was not pushed until a mode was changed. + 8.0.5: Added ability to update driver from 7.x.x to 8.x.x.